2) outtake: egg on “radioactive: marie & pierre curie: a tale of love and fallout” by lauren redniss. redniss is a “graphic biolgrapher” and if you have not seen her books, you should. gorgeous. 3) outtake: eggs in bowl my sister-in-law made. do you think our windows need a little work…ugh. We have an assignment every week that we edit, print and mount on matte board in class on Monday night. On Wednesday nights in addition to a technical lecture on our camera, or Lightroom, we have a critique. Our work is displayed anonymously and we have to vote on which photos we like the best—with the idea that clusters of votes will help illuminate key elements to a good photograph. The matted photos are pinned to a bulletinboard/wall and the instructor puts a push pins above each photo that gets votes, one push pin per vote. Then we go in order, from the most push pins to the least talking about our process and getting critiqued. 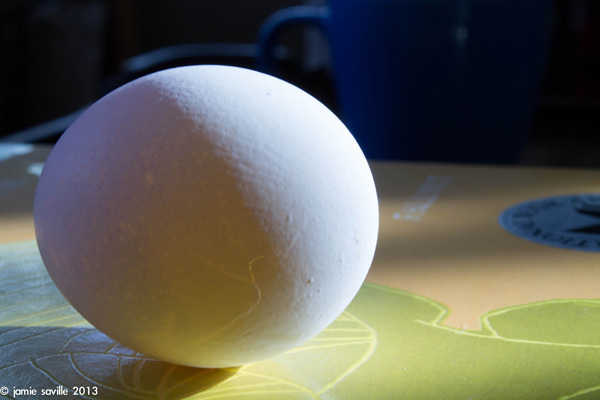 For our egg assignment, we had to take a photo of an egg with the goal of getting a well-exposed, sharp image. I liked my image and technically it was good. But it received no votes from my classmates. My son put his egg on our pool table and had it in the foreground sharply focused and all of the colored pool balls in the background out of focus. He received many votes. One girl broke an egg in the snow and had a small LED flashlight illuminate it from underneath. There was a layer of snow between the egg and the light. The whole critique was really eye opening to me. 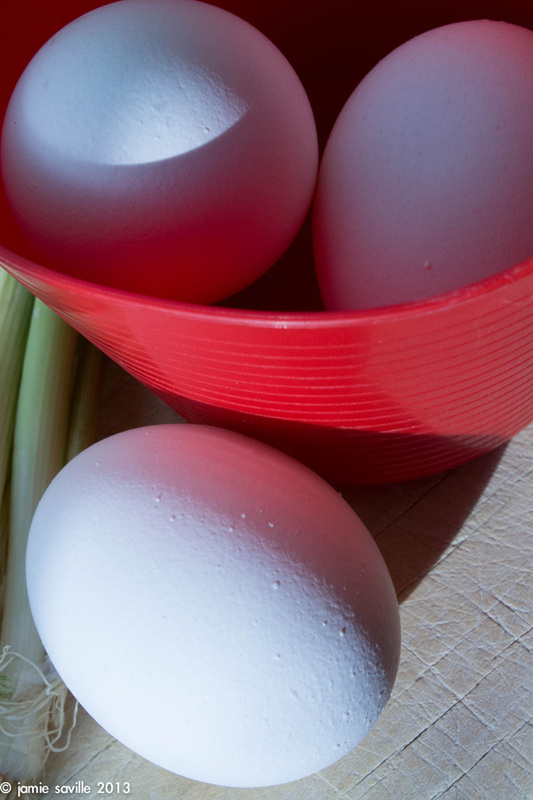 Think creatively, or, take the egg out of the kitchen. We only have 3 more weeks left and both my son and I are sad it’s coming to an end. As much as missing the photography class, I will miss the time with my son. He will get his driver’s license at the end of the summer, and it’s clear to me he can handle the classwork on his own. He is planning to take another photography class in the fall, without his mom. Of course, as a mom, I am proud of his growth toward independence, and I will let him know this, at the risk of him accusing me of claiming credit.